Who said a little wasp sting should get in the way of being Instagram ready? 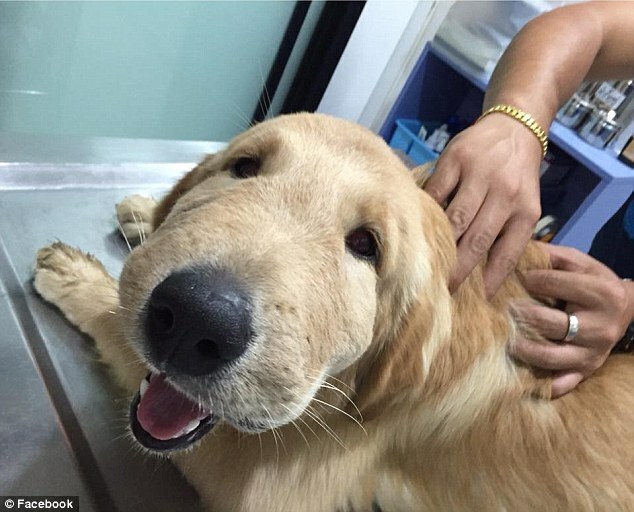 Not this golden retriever, who can't stop smiling, even though he has been stung by a wasp and got a bit of a puffy face. 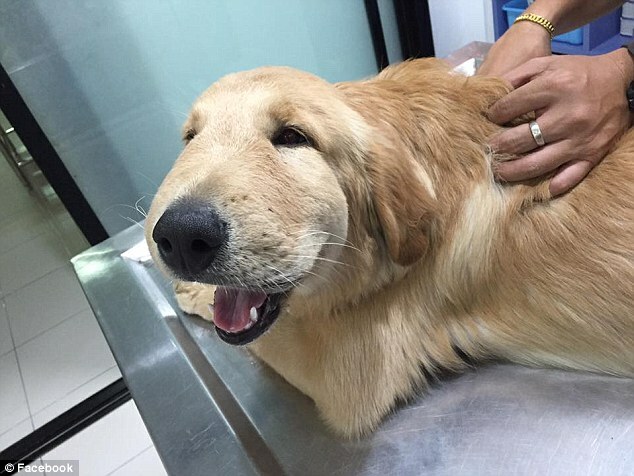 From the pictures, shared on Facebook from Thailand on March 20, it is clear the adorable pup is at the vet - but even the vet's hands can't wipe the grin from his face. 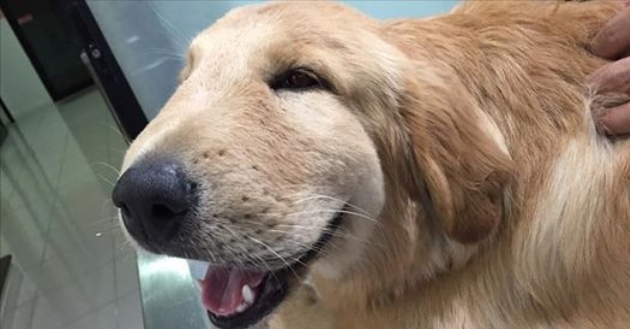 Owner Natthathida Nilbut, from Bang Saen in Thailand, has been sharing snaps of her retriever's face since he began the recovery on March 20. 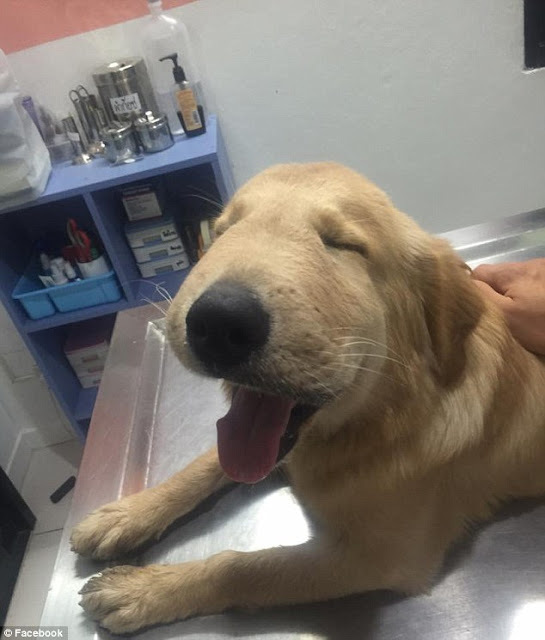 While a wasp sting will not always result in this reaction for a pet, sometimes insect bites and stings can produce unusual results, which should not be ignored. If your canine gets stung, to help to neutralise the venom of bee stings' acidity, try bicarbonate of soda, while if it's a wasp sting, opt for vinegar as wasp stings are alkaline. 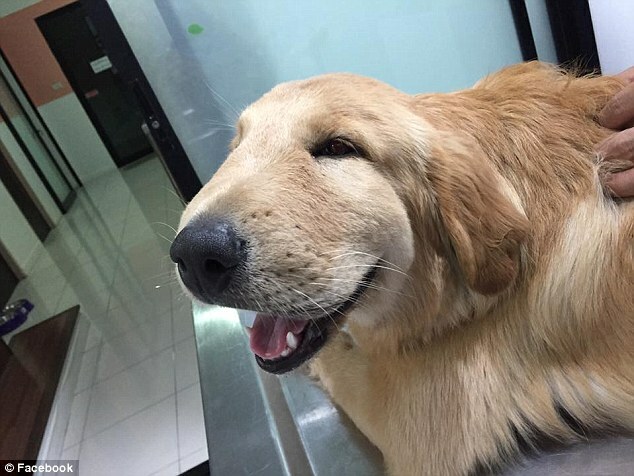 Responses to "Adorable Golden Retriever Gets Stung And Just Keeps On Smiling"